Twenty singers (ten males and ten females) trained in the Complete Vocal Technique were recruited and asked to produce a sustained vowel in each mode. Each singer was instructed to produce the mode as perfect (near to the centre of the mode) as possible with minimal additional effects, twang and extremes of sound colour. 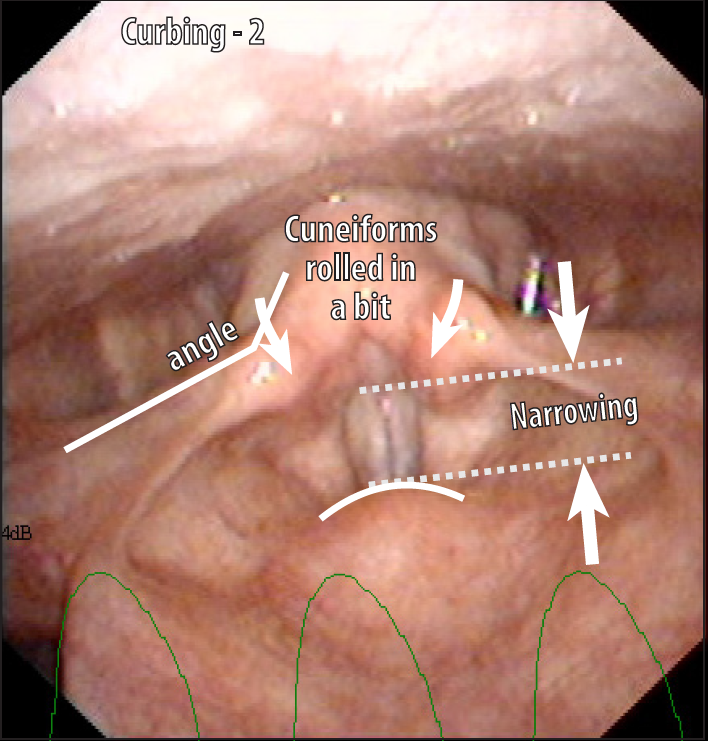 The larynx was imaged using a videonasoendoscopic camera system (OTVS7 camera and ENFV2 videoscope from Olympus/Keymed) and the Laryngostrobe system (from Laryngograph Ltd) used for image capture. Vocal folds seen along most of their length. 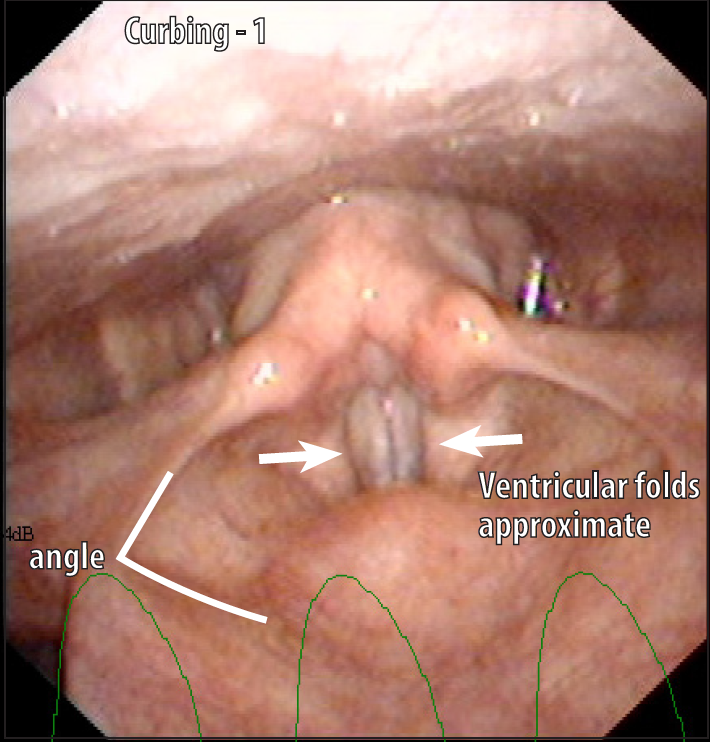 The vocal folds seem narrower from front to back (anterior-posterior). The false folds approach each other slightly, covering some of the vocal folds. The front and the back of the structures above the vocal folds approach each other, making the angle more acute between the aryepiglottic folds and the lower part of the epiglottis. The opening of the larynx is generally more narrowed, creating an angle between the arytenoids and the aryepiglottic folds. The cuneiform cartilages are rolled forward a little on top the cuneiforms are rolled in a bit.